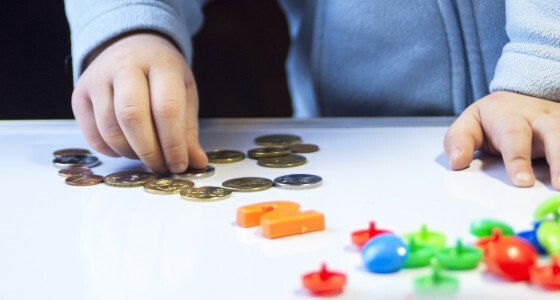 Getting pocket money right can be tricky, but it’s important to teach your children to manage their own money, and the importance of saving, from a young age. Read on to find out how much is too much, when you should pay up and whether you should make your children work for it. So what can you learn from the actions of other families? And what are the dos and don’ts? Solid research is always a good place to start, and thankfully Halifax bank releases an annual tracker. According to 2017 data, British children receive £6.55 per week on average - a big jump from the £1.13 they received back in 1987. Around four in five kids (81%) receive this amount, with a paltry 19% going completely without pocket money. Ultimately then, it means your kids probably aren’t telling porkies when they say all their pals get pocket money. Unexpectedly, the same Halifax research highlights big pocket money differences between ages. On average, eight year-olds receive £5.06 with 15 year-olds receiving £7.85. However, it’s nine year-olds who receive the least on average (£4.68) and 14 year-olds who receive the most (£8.03). Despite the pocket money pay rise, just over two fifths (42%) of children still believe they should receive more pocket money than they do. In other words, be willing to be wary when they say they aren’t pocketing enough. According to the Money Advice Service, parents most commonly begin engaging their children with money skills when they’re eight years old – also the average age at which they begin giving them pocket money. Despite this, it appears that starting at seven could be a better bet, as research suggests children begin to form their first money habits then. Debates rage on parenting sites about the best age to start - some even giving toddlers cash - but if you feel that’s too soon you could just start putting money aside for them. Check out our 5-minute finance guide for parents for tips. Apparently, inflicting household chores on your kids could help them become better savers. So don’t feel guilty about putting your feet up while they do the dishes. Research by the Royal Economic Society found that the more pocket money kids are given, the more likely they are to spend it all straight away. In contrast, those who had to earn their cash from a young age were more likely to take care of their money and save. Regardless, it’s a bit of a contentious subject and equally some think kids should take it easy. What are your thoughts on the topic? Take part in our poll and tell us your thoughts in the comments.